The EOS C100 Mark II is a compact solution for any project happening on the fly–whether you're shooting an event, making an independent film, or capturing quick moving footage for a documentary. This second-generation camera's Canon Super 35mm CMOS sensor offers greater precision and control, plus the ability to record a variety of frame rates and codecs. The innovative, continuous autofocus technology of Canon's Dual Pixel CMOS virtually eliminates blurred images, while making transitions smooth and natural. 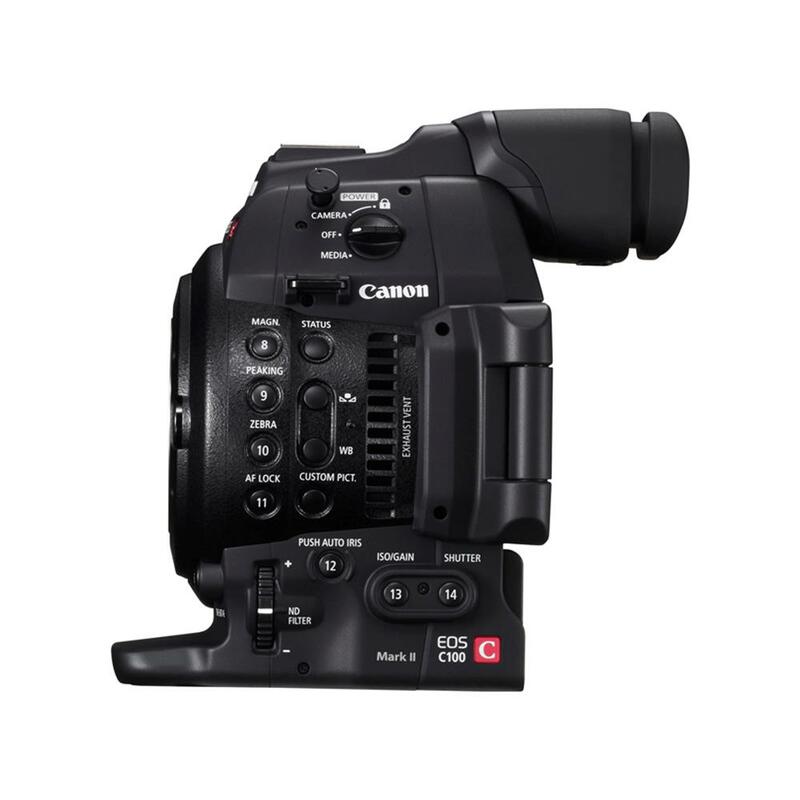 The combination of the Canon Super 35mm CMOS and DIGIC DV4 processor yield a very high signal-to-noise ratio that enables recordings with great detail, as well as a dynamic range–even in minimal light–with up to 12 stops. 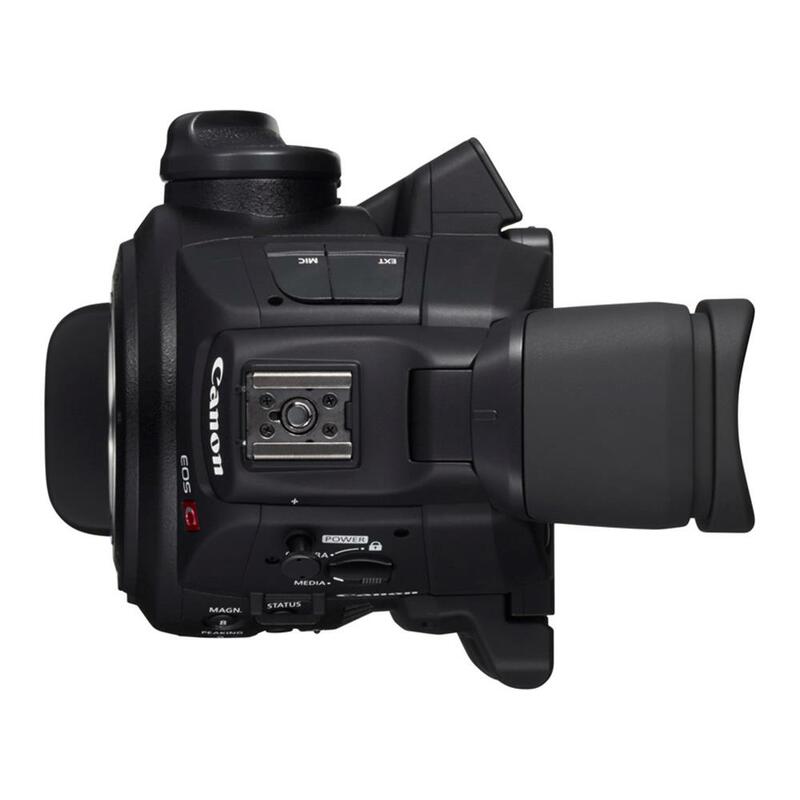 Designed to help maximize one-person operation, this professional Super 35mm Digital video camera is the first of the Cinema EOS family to be equipped with the sophisticated Canon DV 4 image processor for advanced production features, including simultaneous AVCHD and MP4 recording on dual SD cards, Dual Pixel CMOS Auto Focus and Face Auto Focus, slow and fast motion recording, 1920 x 1080/60p AVCHD and MP4 capture, wireless FTP video transfer, and much more. 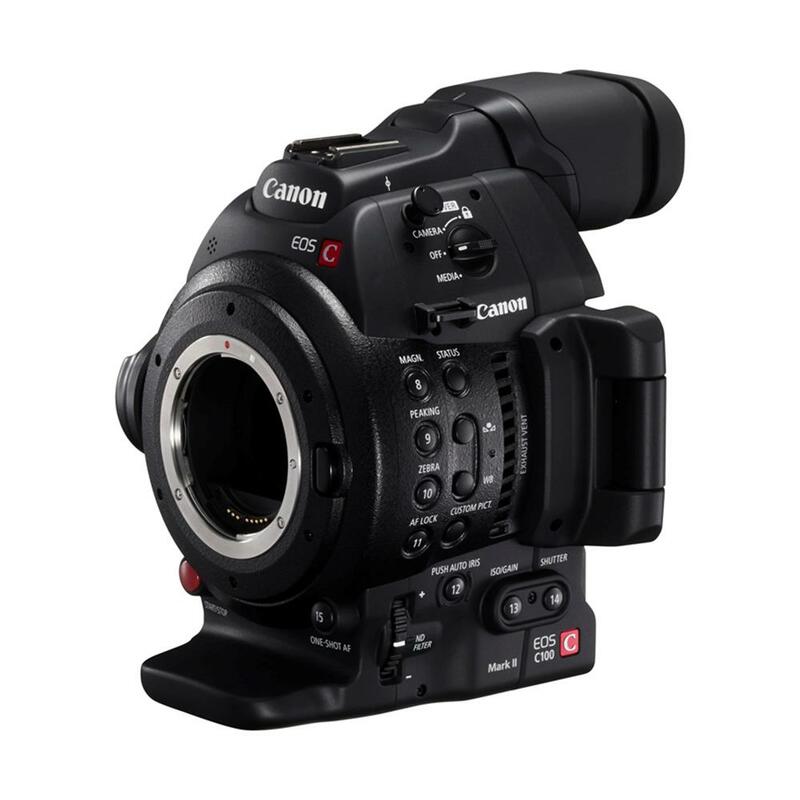 The EOS C100 Mark II Digital video camera delivers high ISO low-light performance and a wide dynamic range. 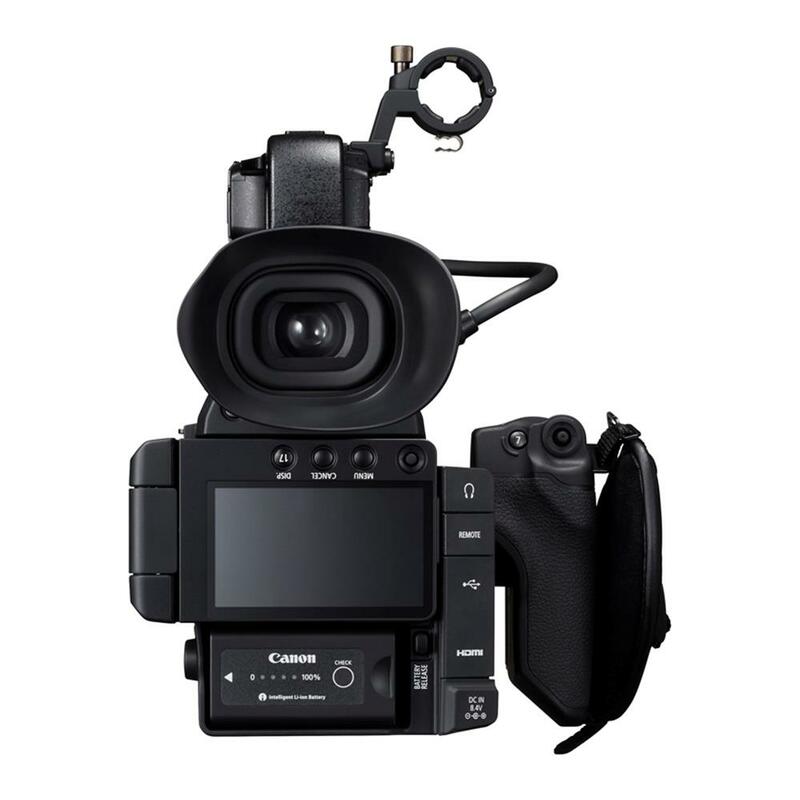 Compatible with all Canon EF, EF-S and CN-E series lenses, the EOS C100 Mark II Digital video camera has a compact, lightweight body, a 3.5-inch 270-degree rotating OLED display panel, and a tiltable colour EVF with large-size eyecup for operator comfort and convenience. 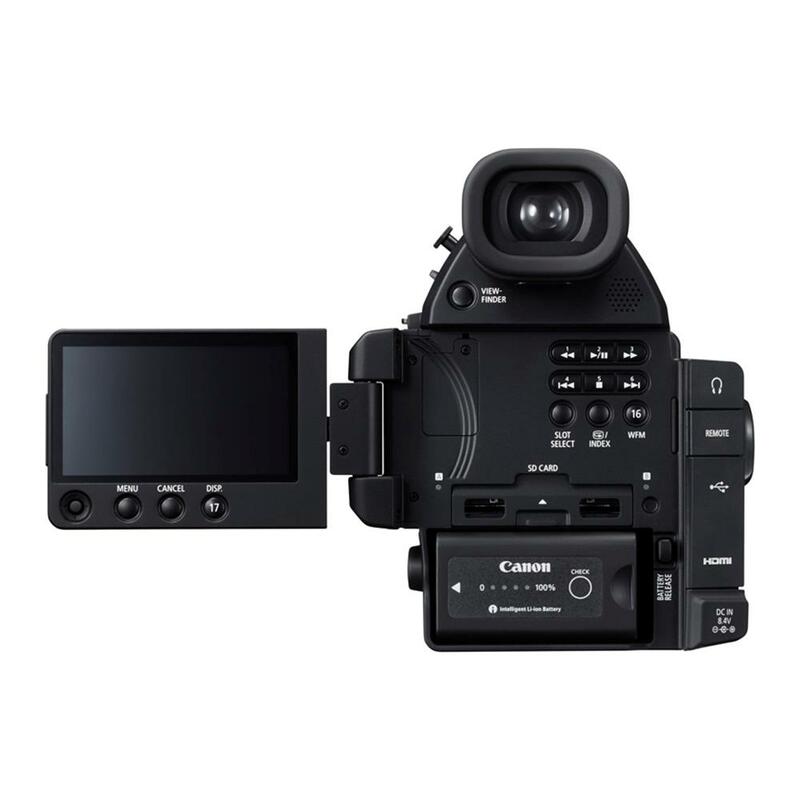 Also equipped with built-in ND filters, a removable rotating pistol grip, removable top handle with twin XLR inputs, built-in stereo mic, and audio controls, the Canon EOS C100 Mark II Digital video camera supports an extensive range of workflows and includes a built-in Canon Log LUT for accurate live monitoring in Wide DR or BT.709 colour space. 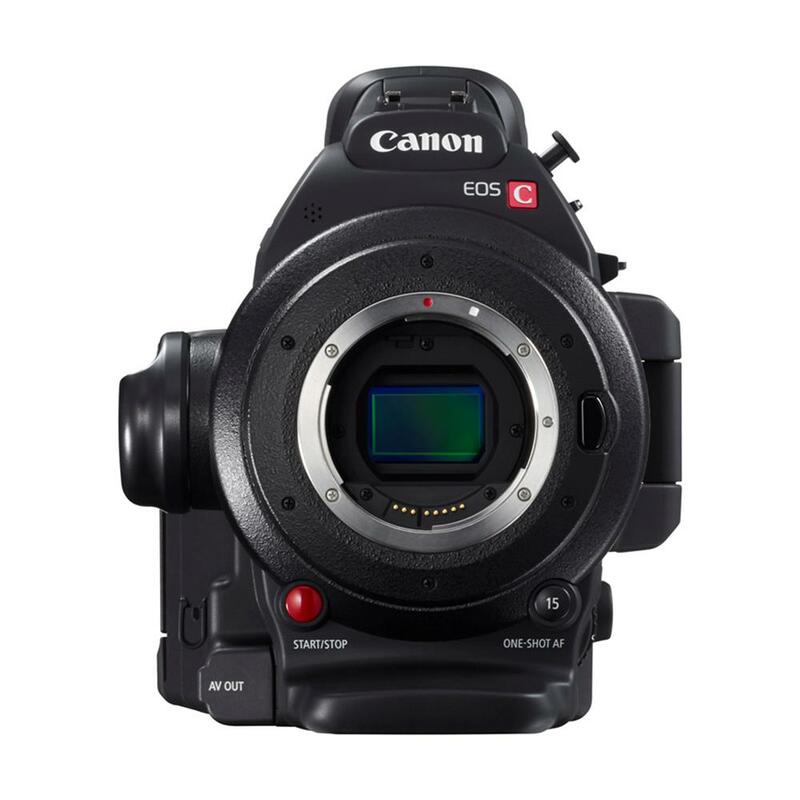 At its heart, the EOS C100 Mark II features the same Emmy® Award-winning Super 35mm Canon CMOS image sensor as the rest of our Cinema EOS line-up. This 8.3 megapixel sensor delivers breakthrough technology that opens up a world of possibility for available light shooting. Shooting dark scenes at high ISO speeds produces amazingly-high quality footage, opening the door to a wide range of cinematic possibilities. The innovative DiG!C DV 4 Image Processor separates the RGB output from the camera's 8.3 megapixel CMOS imager into three individual 8 megapixel signals. Bottom line – you get incredible image quality with dramatically reduced noise, edge transitions, and false colour moiré, even at high ISO speeds. 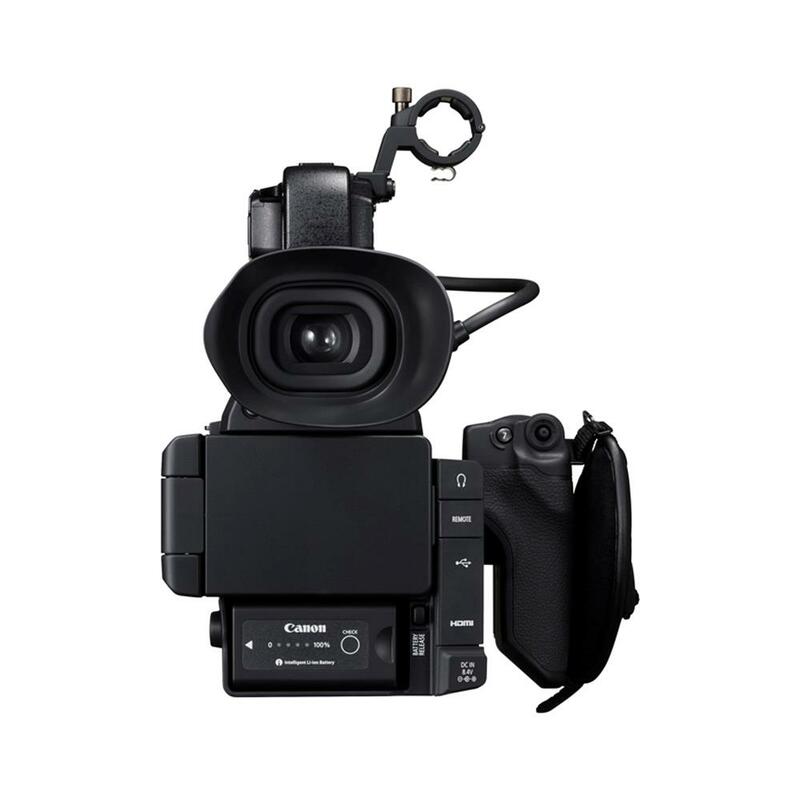 Whether you're shooting a breaking news story or creating the next critically acclaimed wildlife documentary, this camera easily addresses your production needs. Now you can record in both the AVCHD and MP4 recording formats in a variety of bit rates. Known as the professional standard, AVCHD enables long-duration recording of full HD using moderate total data capacities. MP4 allows for fast and slow motion shooting and enables you to quickly upload and share your story on the web and smartphones exactly as you envision it. 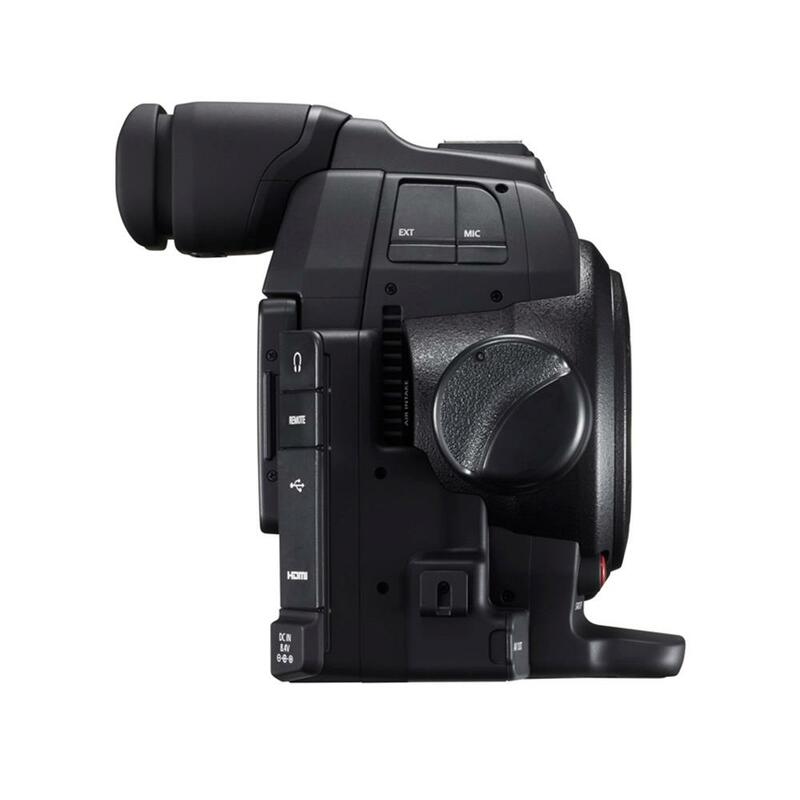 The camera's dual SD card slots can record in either or both formats simultaneously and can convert AVCHD and MP4 files into smaller MP4 files for web upload. Infuse energy or make a dramatic impact by adding slow or fast-motion video effects directly in-camera. When recording in MP4 format, you can adjust playback speeds up to 2.5x faster or 0.4x slower. This mode detects and focuses on human faces. Both the Dual Pixel CMOS AF and Face AF capabilities give cinematographers the freedom to concentrate on composing their shot and pay attention to unpredictable shooting environments. Dual Pixel CMOS AF and Face AF modes bring intelligent focusing to your shoots for ultimate creative control. Face AF is only compatible with STM lenses. 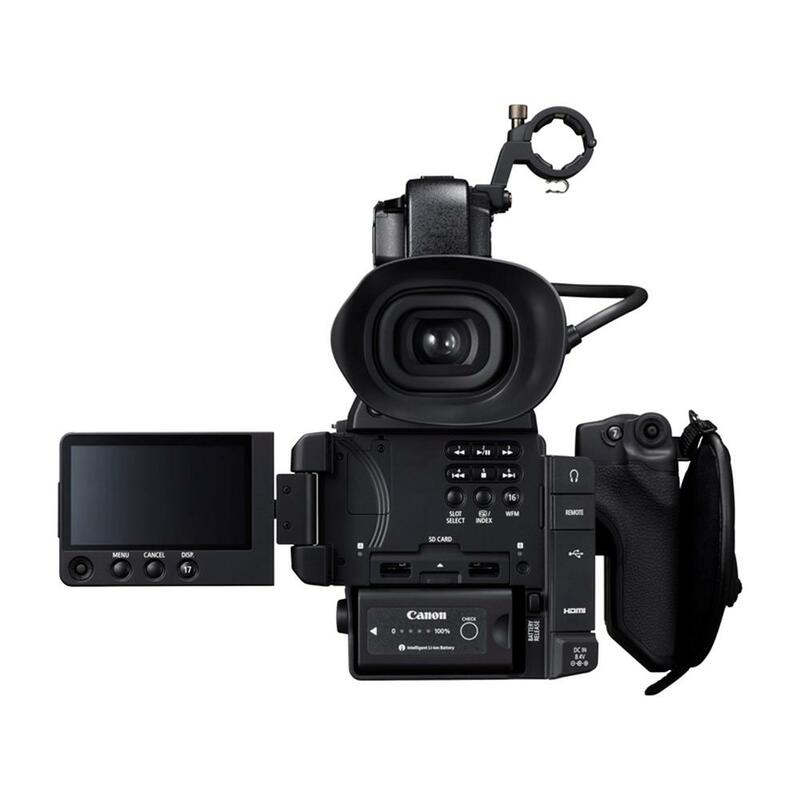 Digital filmmakers preferring complete manual control have that ability with the Canon EOS C100 Mark II Digital HD Camera. Cinematographers can also create, save, and recall custom picture settings, camera functions, and display options. Highly effective built-in Focus Aids to confirm critical focus can be displayed on both the tilting EVF and folding OLED monitor, including Peaking (white, red, blue, yellow) and a magnification function that can be shifted to 25 locations across the image. Also included is an Edge Monitor feature, which shows red and green displays at the bottom of the OLED panel with three red focus-check areas shown. The green waveform shows overall focus of the image while the red waveform shows the focus status of the focus-check boxes. Through this dynamic focus feedback technology cinematographers can intuitively tune focus or quickly change the zone of focus. By popular demand, you can now capture 1920 x 1080 HD video at a 59.94p frame rate. That means your videos will have a very smooth look – great for sports and news applications. OLED (Organic Light-Emitting Diode) is a newer display technology that provides vivid colours, high contrast, and dramatically improved responsiveness compared to traditional LCD screens. 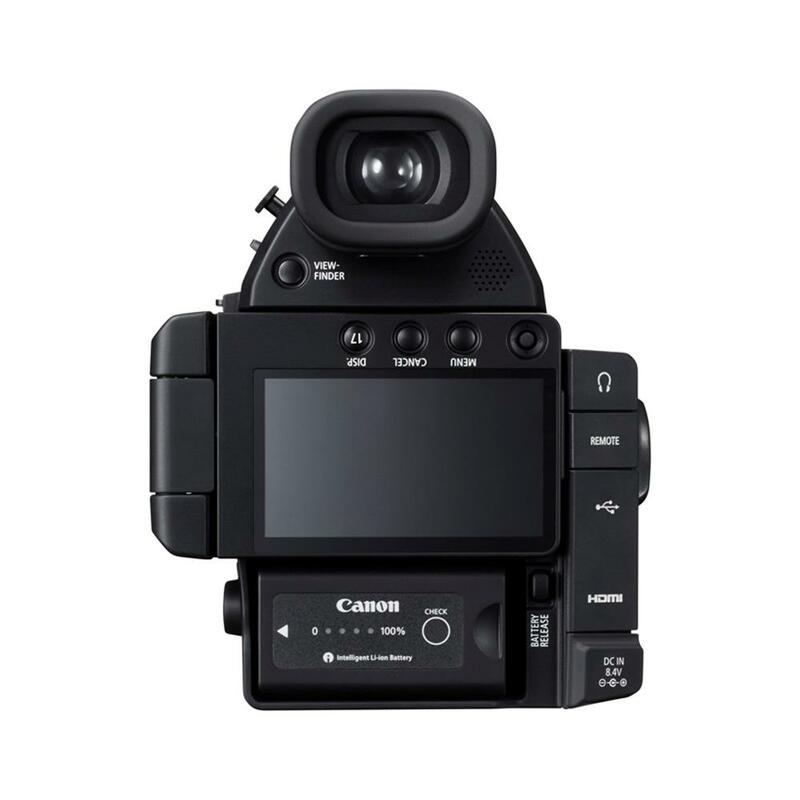 The 3.5-inch 1.23 megapixel OLED display on the EOS C100 Mark II delivers virtually 100 percent field of view coverage, wide and faithful colour range support, and improved viewing even in bright sunshine. The EOS C100 Mark II OLED screen has a new hinge design to help maximize monitoring versatility. The design allows the panel to fold shut when stowed and protect the OLED surface. 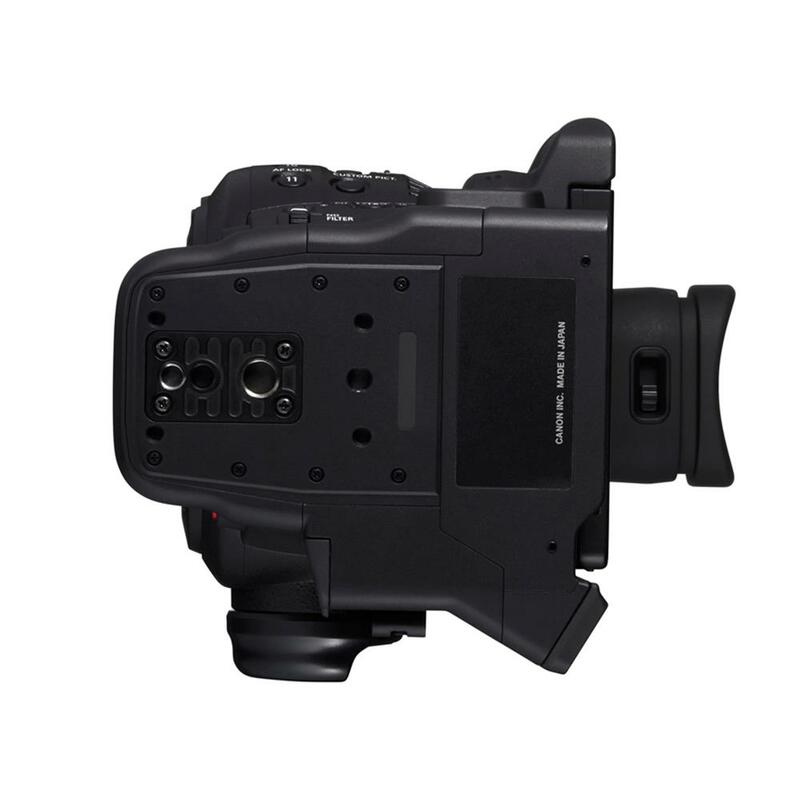 It can open 180 degrees to reveal function keys and a joystick, or open further to 270 degrees to deploy against the side of the camera and provide monitoring for directors, producers, or other production personnel. The Canon EOS C100 Mark II Digital HD Camera includes a screw-locking HDMI connector for output of live HD video from the camera to monitors or other devices. The camera's HDMI signal features superimposed SMPTE time code for attachment to recorders or other third-party devices.